The Simply Enchanting Rose Bouquet brings together lush red roses to make a lasting impression. 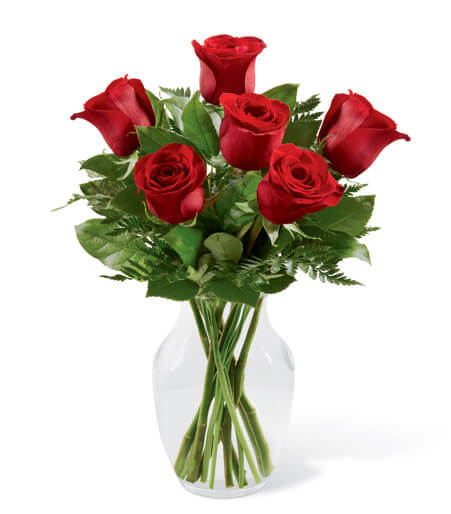 Gorgeous red roses are simply accented with a variety of fresh greens and perfectly situated in a classic clear glass vase to create a flower bouquet that conveys your hearts deepest desires for love and romance. Arrangement includes 6 stems. Approx. 15"H x 12"W.